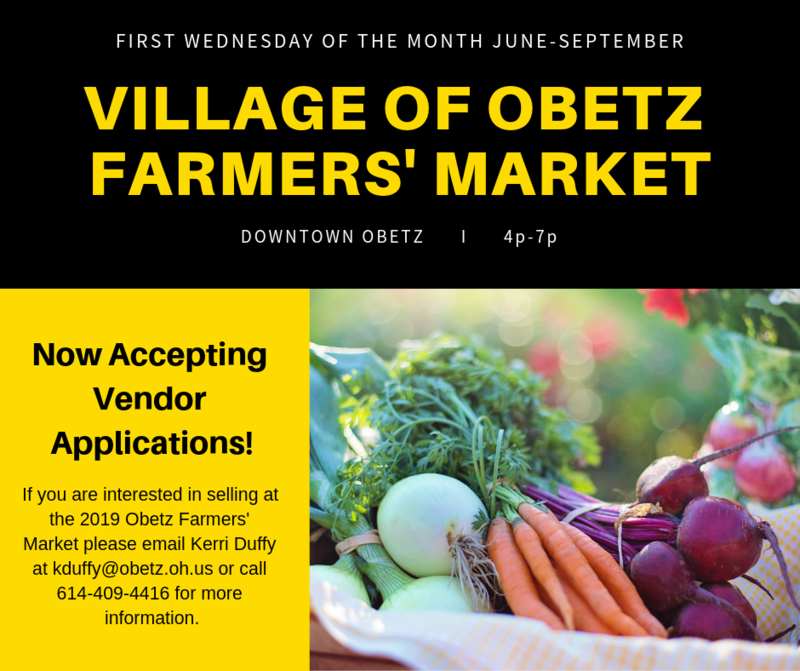 Obetz Farmers’ Market is provided by the Village of Obetz to celebrate and promote the freshness that our local farmers and producers provide for our community. We would love to include your business if you are a local farmer or producer in the area. We are looking for vendors who provide eggs, meat, jams, honey, cheese, bread, and other baked goods. Contact Kerri Duffy at kduffy@obetz.oh.us for an application.